I only played 1 hour of the mix on my show, but here’s 2 hours of the mix for your enjoyment (Note: the mix doesn’t start until 17 seconds in). Super fun extended version of the Fat Beat Diet tonight as Nathan (who does the show after me) came down with the flu. With the extra time, I felt I really had the freedom to roam a little bit. We started out with a James Blake‘s devastating Feist cover, Limit To Your Love. Blake strips the track down and adds some deep bass rumble to shake the tears from your eyes. A few disco breaks groove to finish off the last few minutes of the show. Here’s the show. A few weeks (or was it months…) ago, I posted a snippet of a live set I’d recorded during Uptown Sound, a short-lived Fridays I was doing down at Vicious Circle. I’d been asked to start the night in late March, just before my plans to leave town for most of April. Upon my return in May, I started up in earnest and had a few fun Fridays getting re-acquainted with playing a lounge gig. I was just starting to have fun getting to know the room and the staff, and enjoying the musical freedom of the gig when it was cut short at the end of June. Without getting into too much detail I’ll say that in general, bar management often expects too much too quickly from DJs. We’re not promoters and we can’t work miracles overnight. If you want us to promote, maybe lay that out as an expectation from the get-go and expect to pay for it. Turning a place around and getting a room regularly busy can take several months, and if you try and shortcut the process, you’re often left with a clientÃ¨le that leaves a little to be desired. Suffice to say I would’ve liked to have been able to continue the night a little longer. At the end of the day though, that’s the nature of the industry; easy come, easy go. This snipped was clipped out from the very start of the night, so it’s got a really slow start. I absolutely love the first 5 tracks and most of the tracks featured are long-time favourites (though there are a few new favs too!). Hope you enjoy. Actually, keen listeners will not that even though I’m blogging again, I’m not yet back on the airwaves. I’m actually taking a short break from the radio show. I’ve been doing the Fat Beat Diet non-stop for 9 years now and felt I needed a bit of time off and distance just to make sure that I still want to do the show and would be able to put in the effort which I feel listeners deserve. Short answer, I do and I am, but I’ll still take a few more weeks off doing the show. In the meantime, 2 things: First of all, for those tuning in live for the radio show, I’m pleased to announce that Nathan, who hosts the show after me – The Twisted Brain Wrong, has stepped up to the plate and is hosting local DJs in my time slot. Every week, a different DJ will take to the 1’s and 2’s and present their take on what DJ culture is about. I’m super stoked about this, and hope that you’ll all tune in. I’ll try and coordinate with Nathan to get the schedule out to you ahead of time, and also throw up some of the featured mixes if possible. Secondly, I’d hate to think that the 3 of you who regularly check the site are jonesing for mixes, so I’ll try to regularly post new mixes for your listening pleasure. These will likely take the form of snippets of live sets I’ve done, but if there’s some music I really want to get out there, the idea of me making an internet-specific mix is not out of the question. The first mix is a snippet from my new Fridays at Vicious Circle, Uptown Sound. I’m really starting to like the night, and I’ll probably talk a bit more about it in the coming weeks, but for now I’ll just put the mix out there. It’s a pretty wide ranging mix, musically-speaking, or at least I think so. I’m having a lot of fun recently playing with tempo changes, and I’ve pretty much always liked switching genres, for better and for worse. 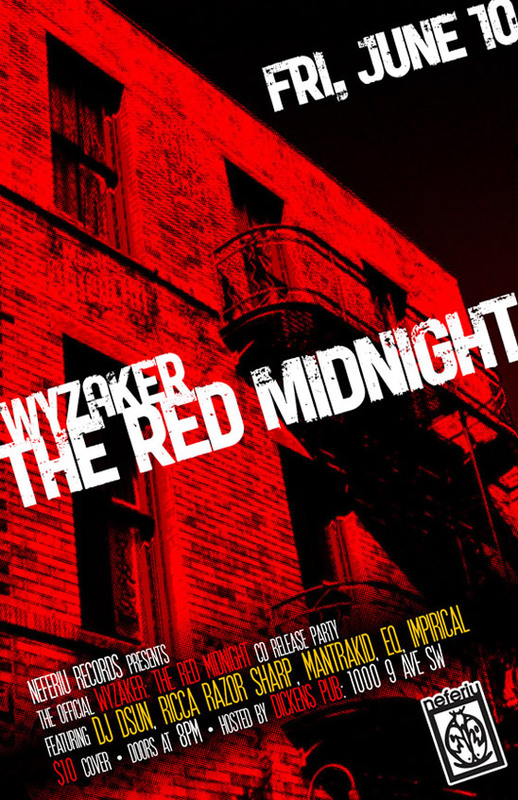 This Saturday will be my last at my long-running Saturday night residency, The Spread at Broken City. It’s not without some sadness and frustration that I announce this, but on the bright side, I’ve had a lot of fun and good times over the course of the nights almost 5 year run. If you’d like to join me for one last kick at the can, head on down to Broken City this Saturday, January 30th and we’ll party like it’s 1999. One-time co-DJ and longtime friend Gary Powers will be along to help, just in case I become overcome with tears. What an amazing 4 and a half years it’s been! Since I started DJing at Broken City in June of 2005, it’s been nothing but an honour and a pleasure to show up every week and share some music with you all. It seems like barely yesterday, the night was having its tentative beginnings with Joe Chan helping me out. The night progressed quite a big when I teamed up with Gary Powers, but eventually I started holding it down on my own, and I loved mostly every minute of it. With your help, I’ve honed my craft and expanded my music knowledge, all the while having a blast . The night has managed to persist longer than most DJ nights can ever aspire to, and for that I’m grateful to all who’ve helped along the way. Zak, the owner of Broken City, for initially giving me the opportunity; the staff and management of Broken City, who are some of the most hilarious, generous, and fun-loving people I could hope to spend a Saturday night with; and of course, all of the great regulars and visitors we’ve had over the years. It is not without some sadness that I take leave from Broken City, but the management has decided they’d like to try something a little different on Saturday nights. What can I say, I’ve had a good run; I wish them the best of luck. And I hope to spot you from behind the decks somewhere down the road. Another year, here and gone – Yikes! This year, despite the awesomeness of our new CJSW space, I had no intentions of spending Christmas Eve and New Year’s Eve in the studios all by myself. 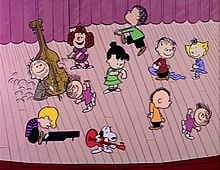 I therefore arranged to pre-tape the shows for the Holidays. However, since I’m not super familiar with the new production rooms, I took a couple mixes I already had lying around and overdubbed the track announcements. But seeing as it’s the holidays and I’m feeling generous, I’ll give you the mixes in their original, chat-devoid, 4+hour glory. These mixes were recorded live at my residency – The Spread (Every Saturday at Broken City). 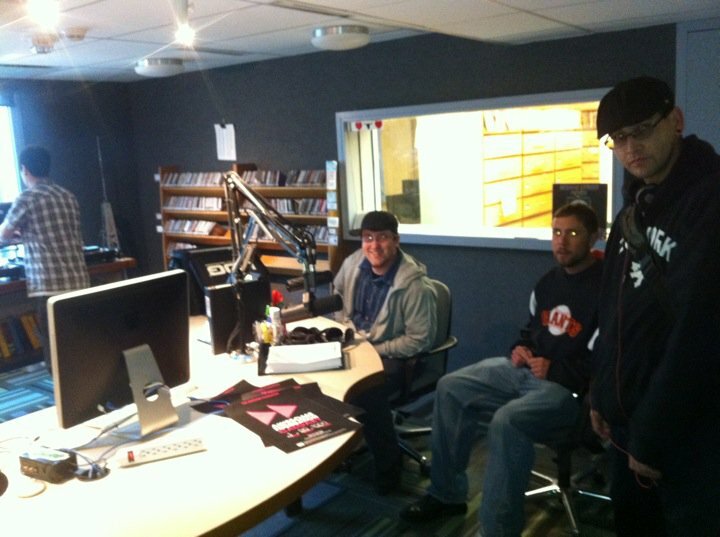 A snippet of the October 17th mix was played on Christmas Eve radio show, and a portion of the November 7th mix was played on the New Year’s Eve show. Hope you enjoy, and Happy (belated) Holidays! 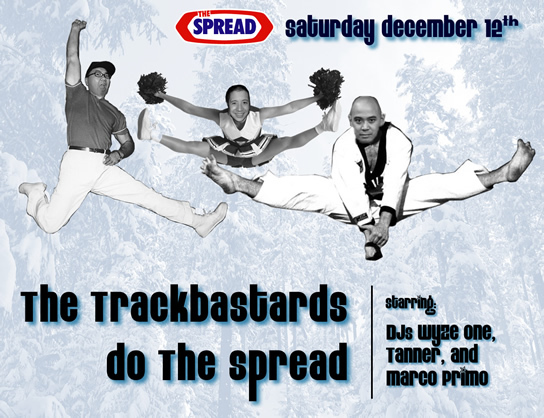 Calgary’s infamous TrackBastards join me at The Spread this Saturday December 12th. TrackBastards have drilling, grilling and thrilling Calgary audience for what seems like forever both on their Friday night CJSW radio show Dirty Needles and at some club nights about town. What you probably didn’t know is that Wyze One is also a straight up indie music nerd. He’s got more indie cred than I do, and has a pile of indie and electro he’s been wanting to play for y’all for ages. And don’t get me started on Erwin. It’s either gonna be insane, or they’ll drive me insane. One way or the other, you’re not gonna want to miss this one. In your area Friday with DJ Disoriental! Hey, just a quick note for those interested that I’ll be playing tonight down at Habitat with DJ Disoriental for his Friday Night Work Out Plan!. This guy’s cuts are so sick, it should be a killer night with us busting out a 2×4 night to remember. Hope you can make it.